100% natural, from the frozen grapes of the Niagara Region. Cabernet Fran: A sweet mixture of ripe raspberries and rhubarb on the nose and palate, with a strong dark berry finish. The balance of acidity is detected near the end, with long-lasting rich jammy characteristics. Superb as a drizzle over rich foods such as salmon or game, and with fruit over desserts, pancakes, or ice cream. 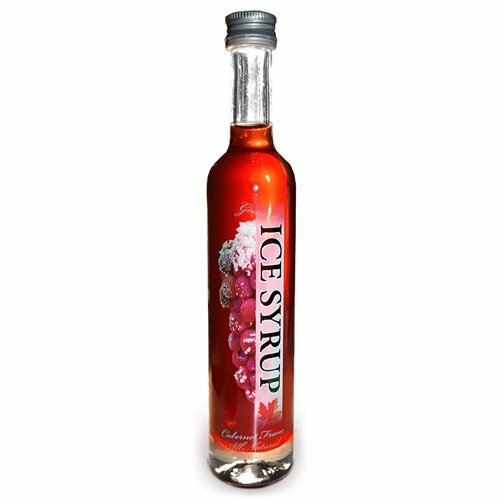 If you have any questions about this product by Ice Syrup, contact us by completing and submitting the form below. If you are looking for a specif part number, please include it with your message.